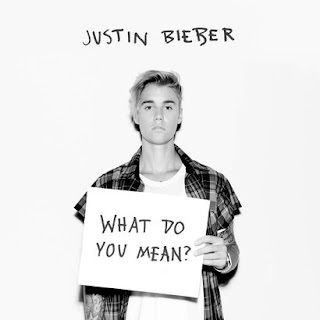 SnapCacklePop: Justin Bieber grows up with new single..! Justin Bieber grows up with new single..! For a while SCP lost our liking to Justin Bieber when he went off the rails around the release of his 2012 album Believe. The singer may have released some great tracks Beauty and a Beat, All Around The World with Zedd and the great Skrillex and Diplo collaboration Where Are U Now, however it was his brat like tendencies that needed a massive reality check. What Do You Mean? is a very impressive new single with dramatic piano keys and ticking woodblock percussion then mixed with rhythms and synth hooks over a groovy melody. A lot more mature sound, even his vocals sound more solid, yet still keeps his teen-pop charm of previous singles that lead to his millions of fans. If this is new version of Bieber, we are liking and can take him off our spoilt brat list. Check out the lyric video below and get your copy of the track on iTunes now..!